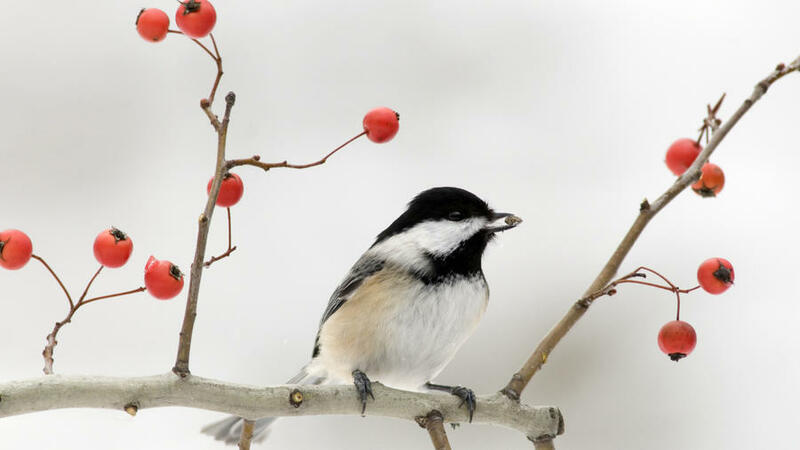 Though gardens go dormant in winter, the colder months are actually the most important ones to feed your backyard songbirds, like chickadees, who don’t migrate. Their natural food sources are limited, especially during snow and ice storms, and their energy demands are great during the cold weather. Here are three steps to take when you’re caught in a storm, stuck inside while the birds are stuck out. These pro tips are from Seattleite Ed Mills, expert birder and co-founder of Audubon Park Wild Bird Food. Birds need unsalted/unsweetened foods like orange and apple slices, frozen or dried cherries, peanut butter, unseasoned beef fat, sunflower seeds or peanuts, quinoa and millet.